You are here: Home / Podcast / Asymmetrical Bodyfat…is this Possible? Multiple factors control the shape of your body including the amount of muscle and fat you have, as well as the symmetry of both your skeletal structure and your muscle structure. Your bodyfat will store in a specific pattern based on you genetics. 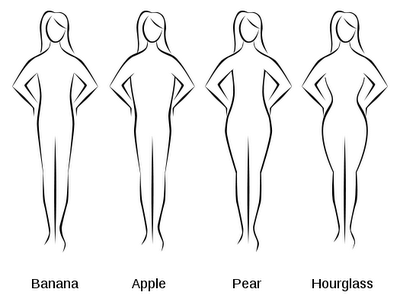 This is what dictates if you store fat in the ‘apple’ pattern or ‘pear’ pattern etc. These shapes are due to fat, not muscle, that means you can change them. Once you start burning that fat off, your skeletal and muscle symmetry will become the predominant feature that shapes your body. This is also when you might notice if you have any asymmetries (from left to right). As you lower your bodyfat percentage, it may appear that you are actually losing fat asymmetrically (ie: losing more fat on either the left or right side of your body). This apparent visual asymmetry of fat distribution is caused by an asymmetry of either your bone structure or your muscle structure (and in many cases both). In today’s UNCENSORED podcast, we’ll discuss body fat distribution patterns and the illusion of asymmetrical body fat.